Hey there! I was up till the early hours of today and felt this incline to share my thoughts with you on one of the simple ways to revolutionise Africa. It is actually an excerpt from my Undergraduate Long Essay. But where is it to be found? It is I think, to be found in the new spirit, which is alive in our universities. The law schools there do not content themselves with recording the law as it is. They are more concerning themselves with the law as it should be. They are exposing the fallacies and failings of the past and are beginning to point the way to a new age and a new equity. When the present generation of students comes to take their place amongst the judges and practitioners of the future, there will, I trust, be found among them many with a new outlook, which will give us the new equity (Africa and African Human Rights) we so badly need. In this light we opine here that Africa’s morality should be thrown open to the African youths and undergraduates(from all over the continent) to define after the latter has been transformed through and in course of an organised week long festival set aside to exhibit, celebrate and imprint Africa. This festival shall be known as the Afrospark Festival. It shall run as described below within a selected African state which has been prepared to be good enough to reflect Africa’s unity. In the course of the festival, the youths shall be given by of Essay Topics, Future Rights. Future Rights, as referred to here, connotes the rights given to the Festival participants to apply. 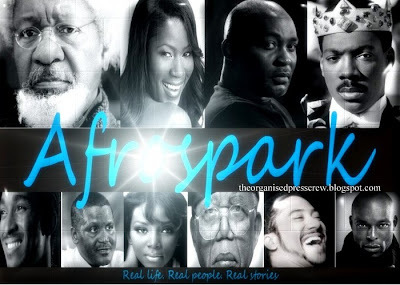 Through writing, their own self-enacted laws and philosophies to events not occurred yet, perhaps one fictitious in accordance with what they think is expedient half way into the Afrospark Festival week. On the first day we shall have the registration of participants (undergraduates and historians who shall serve as judges), opening ceremony, announcement of Essay topics. On the second day there shall be the moon light play programme- wherein there shall be viewing of movies that tell the truth of African stories such as Amazing Grace and Black November (both produced by Jeta Amata); there shall also be plays, poetry session, moonlight tale telling in the open with every one seated on the sand, interactive tale and movie review and cultural dance performances. On the third day there shall be essay rounds which shall include written and oral interview rounds. On the fourth day there shall be excursions to places of interest which are of historical African relevance. There shall also be crafts and gymnastic display by the natives. On the same day, there shall also be the Secrets and the Sand Session wherein the men and the women shall split into two groups (All males in one group and the other all females in the other). In the course of this they shall share and constructively discuss, analyse and criticise the norms and values that accrue to their gender under their native African custom. After these, the best nine essay entries shall be announced. The next day the top nine shall be allowed to express their essay idea in any manner they deem fit. It could be videos, slide presentations, poetry, dance, singing, reading, and speaking. But creativity will be highly rewarded. The judges shall be a select few from the natives of the town in which the festival was held alongside academics, artists, writers and artistes. The winner shall be judged on his/ her ability to see the good in Africa, celebrate and develop it for him or her and the generations to come. After this round, the all the participants shall all be taken to where we shall have the burn fire dance, dinner and photographs in the course of which the winners shall be announced and other awards shall be presented for other categories. Albeit the case, all these shall be forecasted life on the satellite so that the world may see Africa and the life within her and may also join in the activities therein by updates on the Afrospark blog or website. Invariably, we shall be giving Africa voices and real faces. The effect of this is that we would be training the future legislators, presidents and judges. We would be giving them an invaluable experience that they will cherish for the rest of their lives. They shall also be guided by the light of their collectiveness and the leading to preserve and realise all that they have learned. Thus bringing it into their lives and making these values have a louder voice both in their lives, and in their relation with one another and with the society at large. Fabunmi, J. O, Equity and Trust in Nigeria, Ile-ife. Obafemi Awolowo University Press (2006) 2nd Edition P.7. Organised Press Crew, The Afrospark Essay http://theorganisedpresscrew.blogspot.com/2013/03/storm-world-in-words-and-win-you_7341.html(retrieved on 04/08/2013).